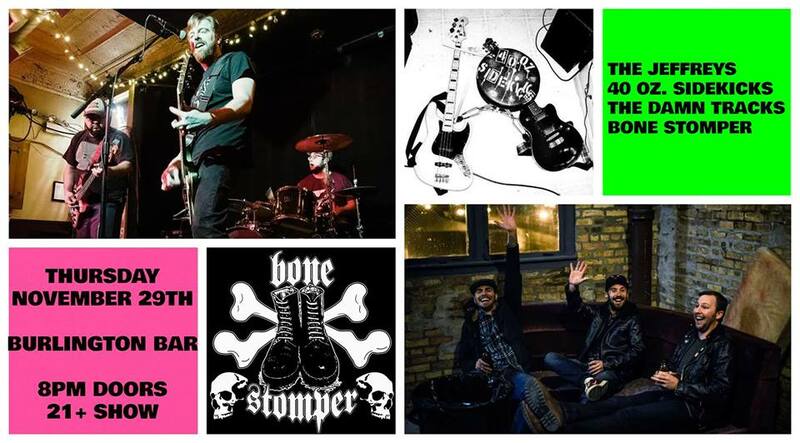 Chicago Punk Rock @ The Burlington! 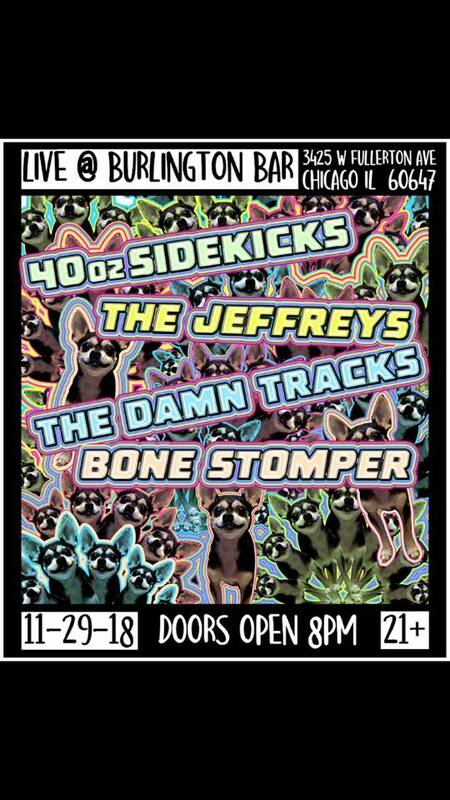 Chicago punk rock at the Burlington Nov. 29th! Four loud and fast locals – The Jeffreys, 40oz. Sidekicks, The Damn Tracks, & Bone Stomper. Solid sound. So I hear some of these dudes use to play in 40oz? Seems like even another lineup change since their last show! What a mess… we love it. Drink up and rock fast. Whiskey fueled ol’ boys playing the good stuff. Stay updated on more Chicago punk rock and other gerd sturff at WE ARE THE TELEVISION.